Now you have an alternative to surgery to regenerate the cartilage on your knee, repair your shoulder joints, hip joints, spine, neck and anywhere else on your body with regenerative measures such as prolotherapy, prolozone, stem cells and PRP (Platelet Rich Plasma) and many other treatments that this clinic offers. Do you have Chronic back and joint problems, Lyme Disease or other Illneses that you have been troubled with for years. Do you Chronic Fatigue, have been to several specialists and while they are making a lot of money off your good insurance, you are suffering more and more? At PainCare, we schedule enough time for you to tell of your journey through the health care system. We take what you have to say seriously and will use alternative remedies if that is what will help you. We use alternative treatments to support cancer care. Lyme Disease is addressed under our Ozone protocols. We offer remedies to slow the progression of memory loss and for stroke. We offer a broad range of services and are not hesitant to use the natural remedies of mother earth. The 28th of September will be seven months since you gave me my forth stem cell treatment for the excoriating pain in my right hip. I can not begin to tell you how much my life has changed for the better since I first met with you. After years of suffering from an overworked and painful hip, and not being able to move around like I should I had packed on 40 pounds. My blood pressure was extremely high, and I was always tired. Worst of all I was beginning to suffer from depression. Not any longer. I am happy to report to you I am back up on my feet and running. In addition to all the walking I can do again I have added working out, (pumping iron), 3 days a week at Anytime Fitness with the Silvers fitness class. I have lost 25+ pounds. I no longer have to take Blood Pressure meds as my blood pressure has gone back to normal. Best of all I feel twenty years younger, and have gone back to living my life the way I want to. 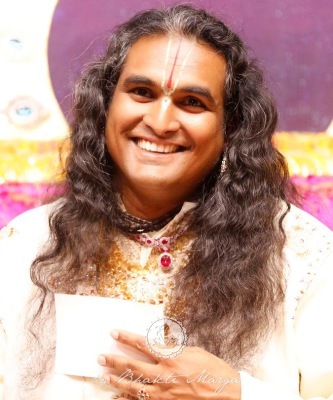 Your treatments have made me very healthy as well as happy. Not only am I happy my husband Bill is happy too. He says to tell you he is very happy to have his wife back the way I was 25 years ago. 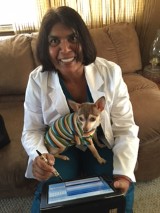 We both wanted to let you know how grateful we are to you and your wonderful treatments. We are a medical clinic that treats pain naturally through remedies such as prolotherapy, prolozone, ozone, platelet rich plasma and stem cell treatments. 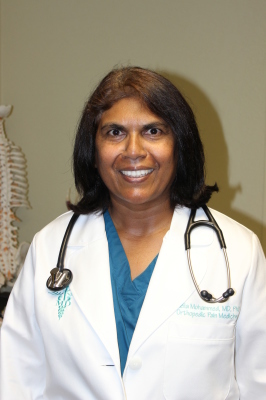 The clinic is owned and operated by one doctor, Dr. Sheila Mohammed, MD, PhD. Lisa Davis is the office manager and does everything else. The patients we see have usually been to multiple medical specialists without resolution to their illness and they come to us as their last hope for relief, which we provide. I wish patients will come to us first and save themselves a lot of heartache. Our treatments are an alternative to surgery. We treat painful conditions of the joints and spine. We also treat internal pain such as pelvic pain, intestinal issues, and infectious diseases. When you come to our clinic, you are treated like family. We set aside at least one hour per patient, so you have enough time to explain what bothers you and receive unhurried explanations. Together we will arrive at the best treatment plan for you that is cost-effective and yields results. X-Ray evidence as to how cartillage in the knee grows back after Prolotherapy treatment. The dark space between the bones has increased meaning more cartillage is there. 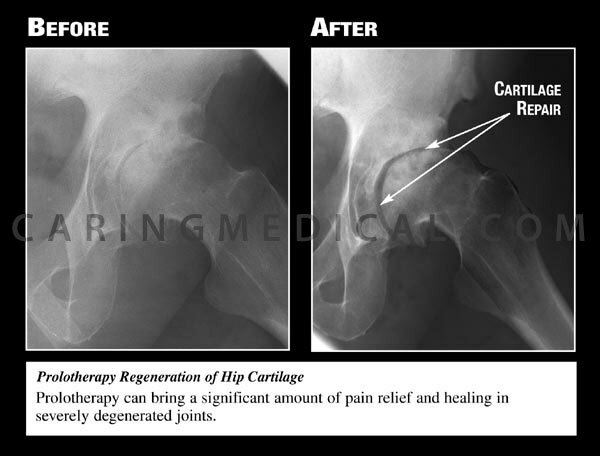 The Hip Joint before and after Prolotherapy as seen on X-Rays. The image before has bone on bone arthritis. In the second image the joint line is clearly visible as the cartillage has grown back. When this happens, the pain goes as well. 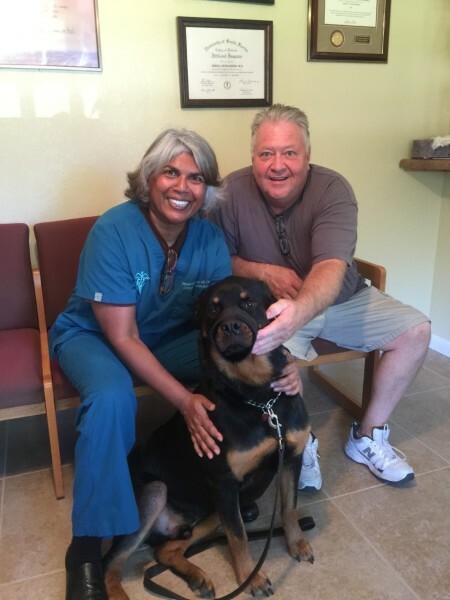 Olie, our Rottweiler friend got his lollipop after being a great prolotherapy patient. He is seen here with his dad, Bob.